The latest showhome - a 3,455 sq ft, 3-bedroom, 3-bath luxury home - is listed for sale at $709,900. Spacious rooms, impressive views, and top-quality finishes are just the beginning. 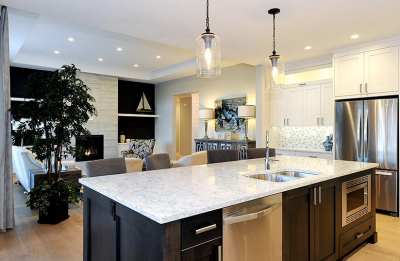 This new also home showcases the many environmentally sensitive products and finishes that The Gales is known for. Spring comes quickly to Vancouver Island, and with it the spectrum of colour that fills gardens and planter boxes. 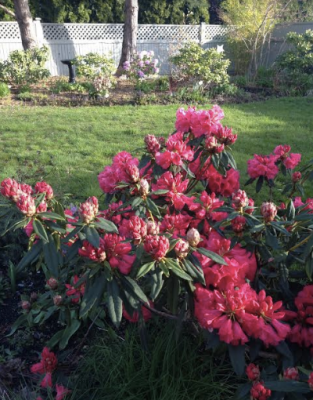 Rhododendrons and Azaleas thrive in the mild West Coast climate and are blooming shortly after the spring daffodils and tulips make their appearance. While the Island is green year round, spring gardens burst into bloom earlier here than anywhere else in Canada! With large yards at The Ridge subdivision, gardeners can plant flowers, shrubs and trees to their heart’s content. Design your landscaping to showcase year-round colour, and still make it as low maintenance as you wish. The Ridge community has 20 new homes under construction in Phase I and preparing lots for Phase II. With new residents already enjoying their spacious properties, contact us to learn more about building your new custom home at The Ridge. The Vancouver Island / Crown Isle lifestyle could be yours in this year’s BC Children’s Hospital Home Lottery. 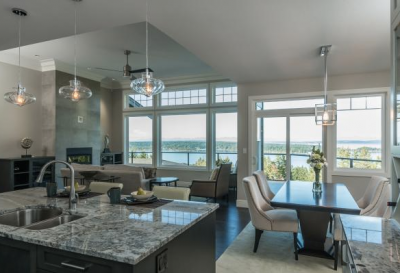 This year’s BC Children's Hospital Foundation Lottery offers a choice of 7 grand prizes including a stunning new home on Crown Isle’s 15th Fairway. Along with the fully furnished show home and a cash prize, the lucky winner would enjoy: two new vehicles; an RV for camping and touring other parts of Vancouver Island; a fishing boat (after all, you’ll be living minutes from boat launches and world-famous salmon fishing); five years of season’s passes to Mount Washington, and all your ski and snowboard gear (to enjoy the slopes just minutes from home) and five years golf at Crown Isle complete with new equipment. But with home prices in the Comox Valley offering tremendous value over larger city centres, such as Vancouver, Victoria and Calgary, moving to Crown Isle will have you feeling like a lottery winner, especially if you choose to build your own custom home in one of the many available subdivisions. With year-round outdoor activities and adventures to be enjoyed in one of Canada's most temperate climates, you are never at a loss for things to do living on Vancouver Island. Enjoy a walk on one of the many local beaches or take in a stroll through the pristine forest right at your back door. With amazing outdoors surrounding your home, the lure of natural wonder is ever beckoning. Vancouver Island living means you can enjoy year-round golf, alpine adventures on Mount Washington, world famous fishing and wildlife viewing opportunities, boating and beach combing. If you are in the mood for a slightly more urban experience, the relaxed and friendly pace of life in Ladysmith will leave you as refreshed as you are after a walk in one of the many local parks. And if you're looking for a big city adventure, both Nanaimo and Victoria are a short drive away. Comox Valley real estate is booming, as people flock to this Vancouver Island community for its affordability, climate, and access to the outdoors. No where is this more evident than at the new real estate development The Ridge in Courtenay. With 20 custom homes currently under construction for excited new residents, Phase I is nearing completion. Phase II lots are now being developed and 75% of these new home lots in Phase II are already reserved by The Ridge’s preferred builders, Lawmar Contracting and Brando Construction. The Comox Valley is a major business centre for North Vancouver Island, and sits in an enviable location, surrounded by ocean, forests, farm land and mountains, which offer plenty of places to play and explore, year round. Art Meyers, a Comox Valley Realtor With the Experience You Want in Today's Real Estate Market. Today's Comox Valley real estate market has historically low inventory. A licensed, connected and experienced realtor can help you get the value for your home or raw land in today's market. Art Meyers, has been in the real estate business for 40 years and has won many awards due to his professionalism and his focus on getting the best value for the seller and finding the perfect home or rural property for the buyer. 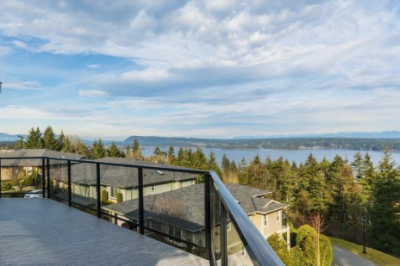 He has been through the ups and downs of the real estate cycle many times, and he is the realtor who can represent you whether you are buying or selling in the Comox Valley on beautiful Vancouver Island. The average price of a home in the Comox Valley has gone up 26% from 2015 to end of 2016, an average of 2% per month. Art can help you keep your eyes focused on the changes in the market, so that you are looking out the front windshield on what the current price is, not looking in the rear window, looking at what a property sold for two or three months ago. Art Meyers is the "go-to" experience realtor in the Comox Valley, covering the areas of Courtenay, Cumberland, Comox and the Comox Valley Regional District. Contact him today, he would be happy to meet with you!